We did it. We finally did it. We went to Elan Cafe. And this is our review. Why go there? I’d suggest you go if you like all things pretty and perfect. They excel at their food presentation; so much, you feel sad by eating it! But it is GOOD. What will you get? That will depend on what you want. Food is superb (though at times pricey, there’s a Blue Sapphire coffee at £15!) and so is its presentation, so that’s a goer. But you could get more than that if you are into girly pink instagrammable stuff. This place is like a mecca for it! But choose your location right, because each one has a different feature, and a timer on how much time you can spend on each table. Where is it? 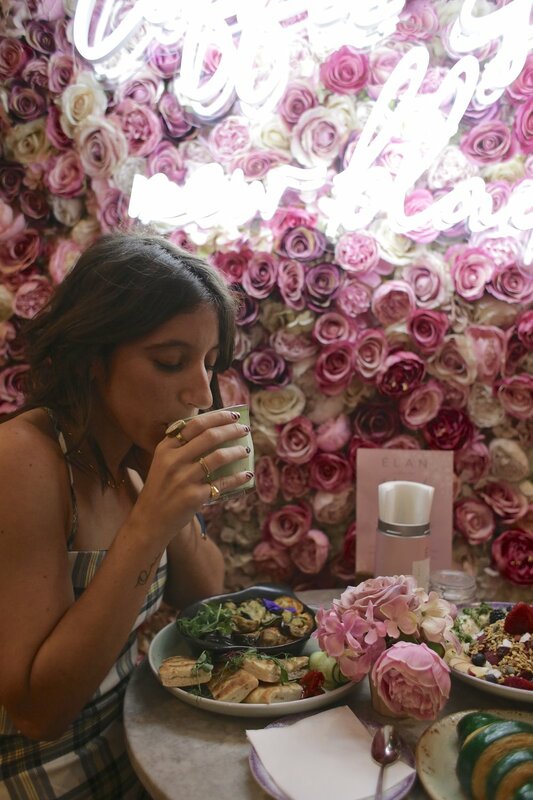 Well, this girly and pretty cafe has become so popular since its inception in West London that they have now expanded to 4 cafes across the city! Bromptom Road and Hans Crescent (West), Park Lane (Central) AND inside Selfridges (mega Central). When to go? You can get your sweet and savoury fix anytime between 7.30am and midnight. SWEEEEET! Unfortunately, you cannot book, so be prepared to cue for a bit.